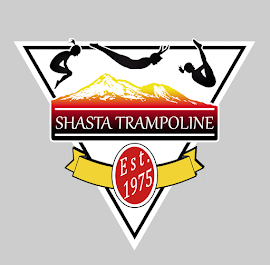 This past week has been a week of loss for Shasta Trampoline. We lost one of our own, Aaron Johnson. Aaron was exceptionally kind and caring; passionate and incredibly skilled; but most of all extremely humble. For newer team members you knew Aaron as head coach Val's husband and occasional fill in coach. For those that have been with Shasta a bit longer we knew Aaron as the guy that would borrow our kids to be demonstrators at coaching courses. Other club members knew Aaron from Vancouver Circus school and as the guy that got their kids involved in trampoline and Shasta. Some of our older athletes and coaches knew him as their personal coach. Hello Shasta parents and athletes. Check out the 2018/2019 Competitive Schedule updated as of September 16, 2018. Check back regularly, dates and locations are subject to change. Please check out the revised 2019 Trampoline Competition Schedule , last updated February 16, 2019.